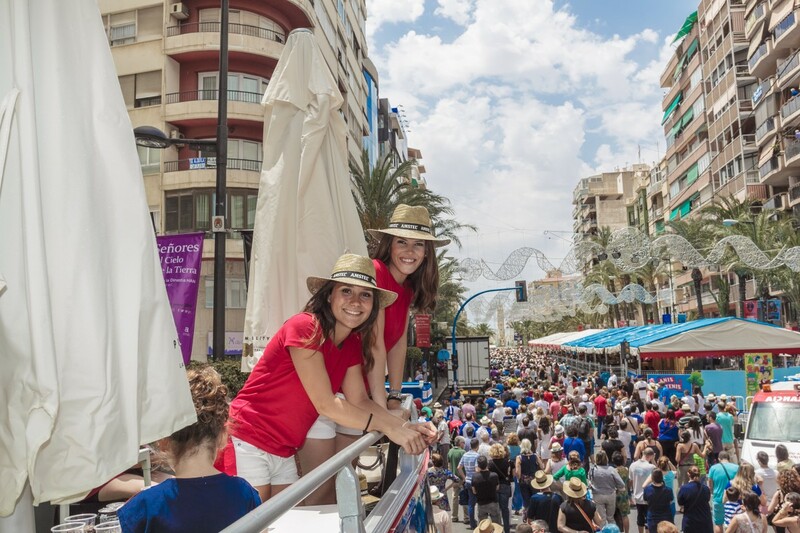 During The Fogueres the parades go through numerous neighbourhoods of the city and the “Nanos i Gegants” cover the streets of the city accompanied by “dolçainers i tabaleters”. 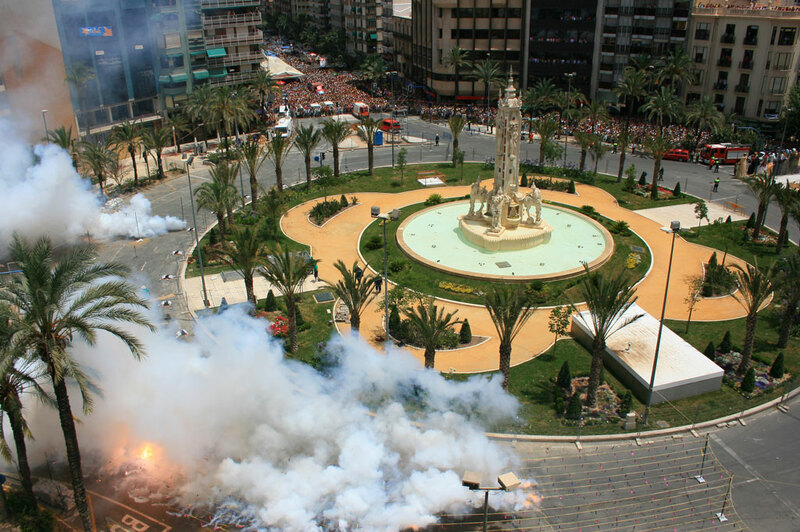 The Fogueres de Sant Joan is the city’s most important celebration, and is officially declared as of International Tourist Interest. Its origin lies in the tradition of burning useless objects with the arrival of the summer solstice. 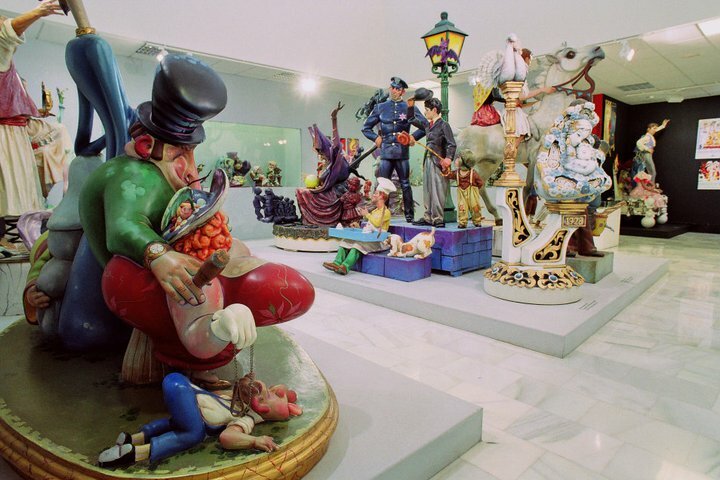 Throughout the city, over 200 large satirical papier mâché statues are set up. These will go up in smoke on the 24th June during the spectacular “Night of Burning” or “Noche de la Cremà“, alongside the popular “Banyà” or “soaking” as firefighters put out the blazes. 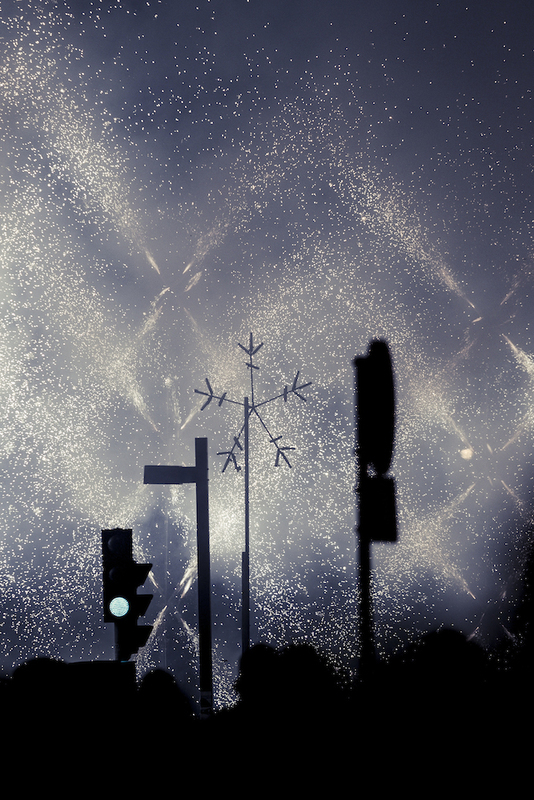 The celebrations include events such as the “Mascletàs” (a stunning fireworks and firecrackers competition held from the 4th to the 24th in the Plaza de los Luceros square at 2pm), the proclamation known as the Pregón, the setting up of the bonfires known as “La Plantà”, the procession of the effigies known as the Cabalgata del Ninot, and parades, with a special floral tribute to the Virgen del Remedio. 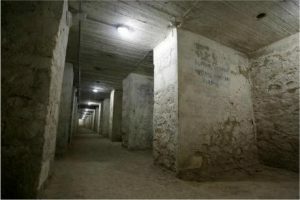 You can visit it on the Archivo Municipal de Alicante. C/ Labradores, 16, Alicante. Exhibition Opening: Thursday, 26th May at 08.00pm. Monday to Friday from 10.30 am to 02.00 pm, and from 04.00 pm to 09.00 pm. 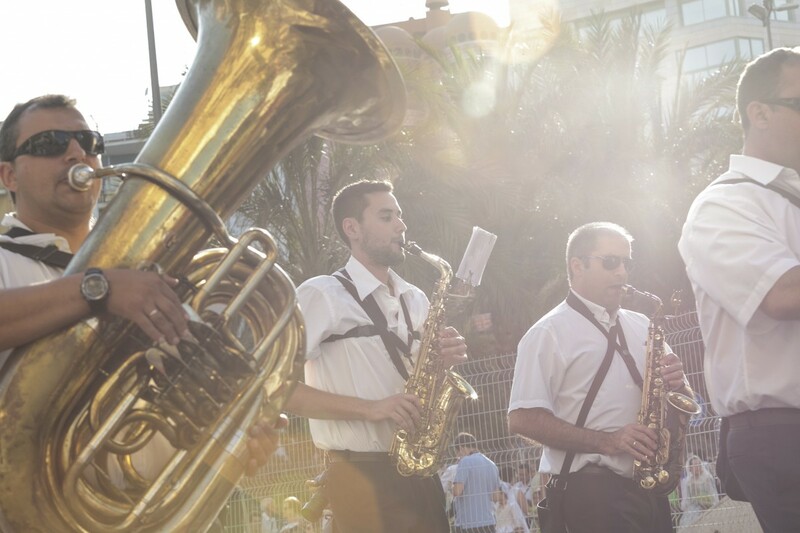 This museum explores the evolution of Alicante’s most representative festival, the Hogueras de San Juan bonfire celebration held in June, which has been officially declared as of Internationa Tourism Interest. Here visitors can see collections of “ninots indultados” (the effigies that managed to escape the flames), mock bonfires, typical costumes, etc. The museum also boasts an audiovisual hall showing clips of this festival from years ago. Maldita Nerea, tightrope walkers, Arenae. 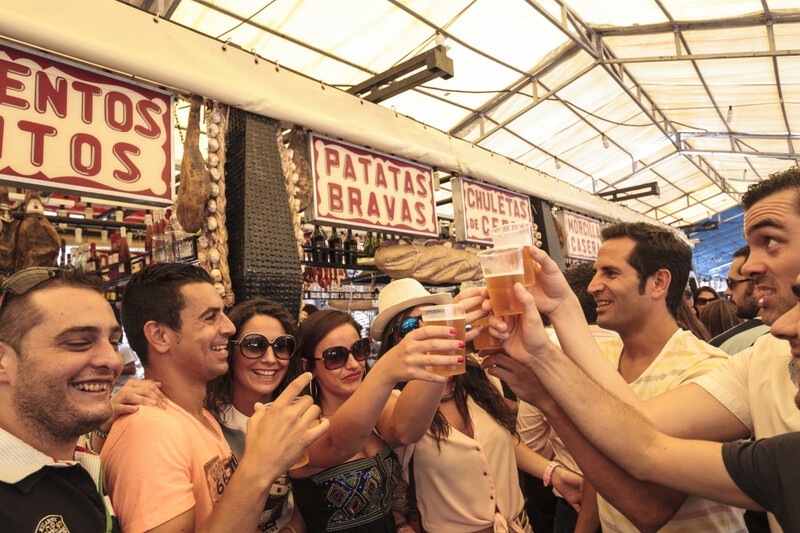 The first day a gastronomic tasting to the public with free access will be offered from 6.30 pm. El Corte Inglés, FNAC, Carrefour, Halcón Viajes. The City Council of Alicante, through the Department of Festivals, brings you the oportunity to enjoy the mascletàs from the security restricted area in Plaza de los Luceros. Participate and win! The shoot of pyrotechnic-resounding shows can exceed 120 decibels, so it is advisable to adopt preventive measures, especially for children. If you feel the noise is too loud, do not cover your ears. It is better to open a little bit your mouth. Respect security measures even if the shoot is very small. 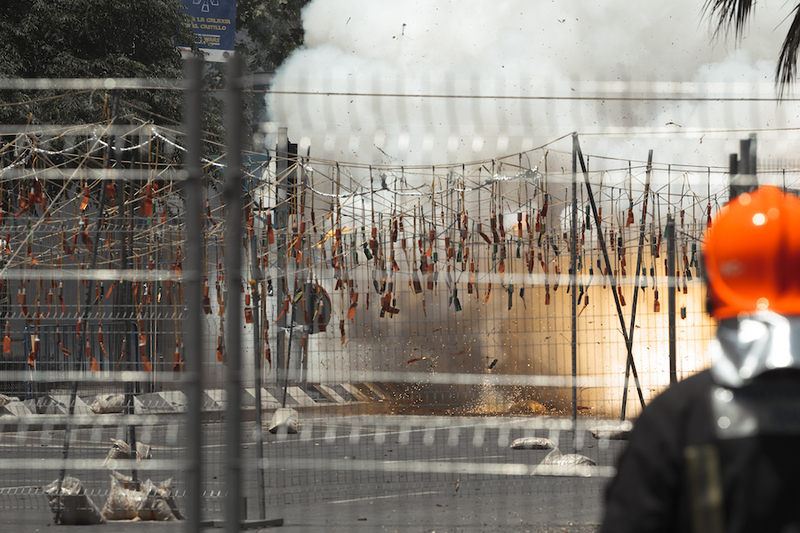 Before attending the Mascletà, you have to control the wind direction in order to avoid the smoke of the shoot and the shock wave come to you. Help us to maintain clean the city. 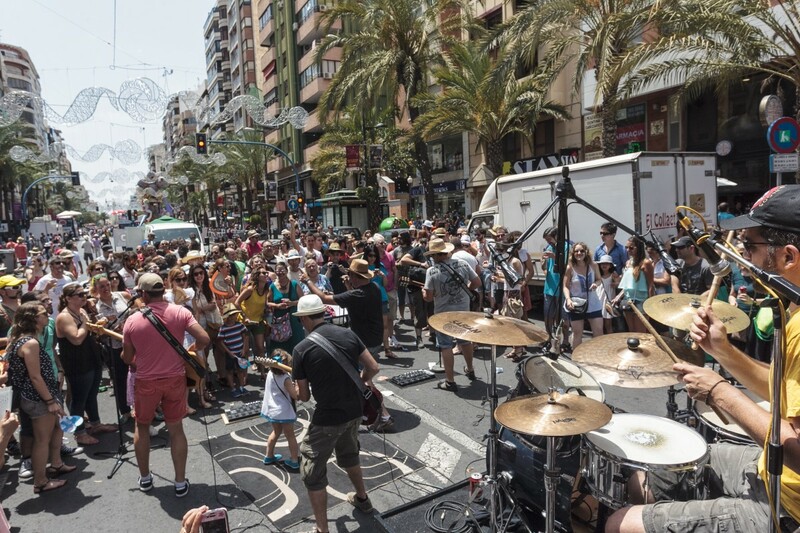 Fogueres are lived in the streets, and you can eat, drink, have a snack, walk, enjoy the monuments, concerts, parades and happy environment, in general, all these acts are compatible with keeping the city clean. 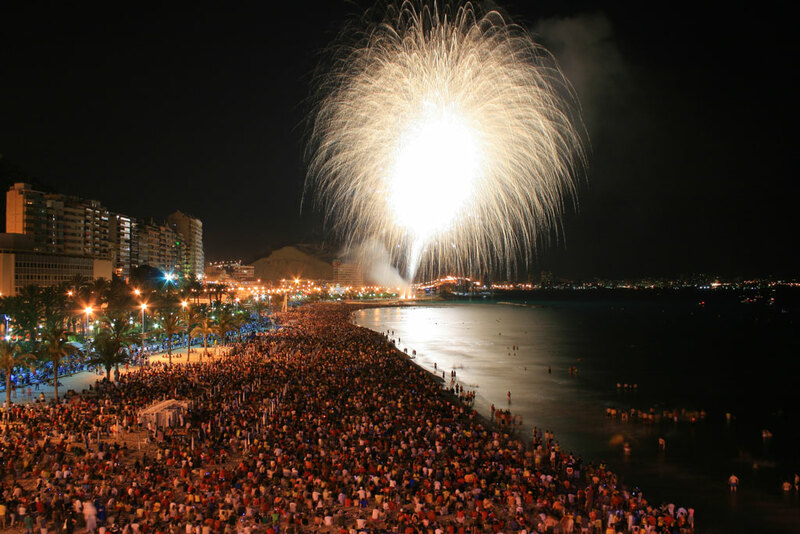 The delicacy of the Bonfires of San Juan is called coca amb tonyina. 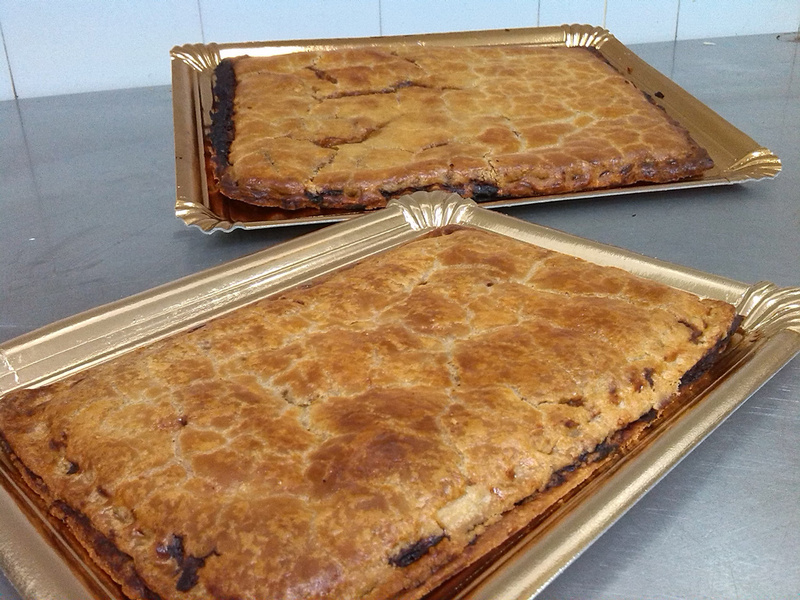 It’s a kind of tuna pie, eaten during the days of the Feast of the Bonfires of San Juan. 12.00 am Arrivada del Foc. Light sound and fireworks Show Façade of Shopping Center “El Corte Inglés”, Churruca St.
12.00 pm. Cultural Fogueres in Avenida Alfonso El Sabio with traditional music. 02.00 pm. II Session of the 29th Mascletás Contest. Pyrotechnic Company: Pirotecnia Turis. in Plaza de los Luceros. 02.00 pm. III Session of the 29th Mascletás Contest. 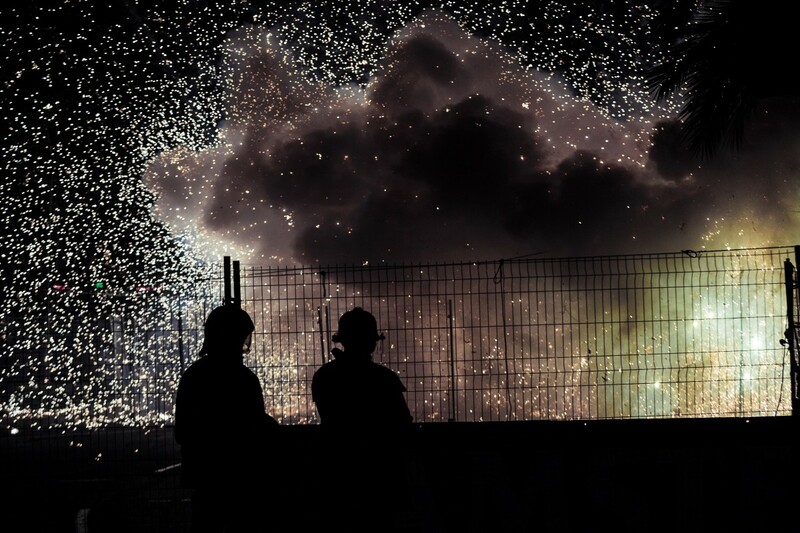 Pyrotechnic Company: hermanos Ferrández. Location: Plaza de los Luceros. 12.00 am . 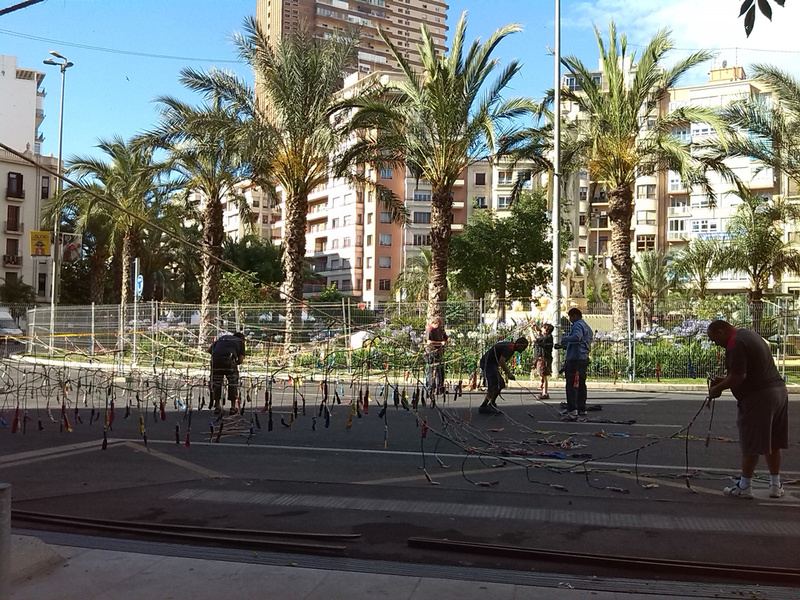 Plantà (Setting up) of Fogueres, Barraques and decorated Streets. 02.00 pm. IV Session of the 29th Mascletás Contest. Pyrotechnic Company: Alicantina de Focs i Artifici.Location: Plaza de los Luceros. 10.00 pm. Open-air dance in Barracas and Racós. 02.00 pm. V Session of the 29th Mascletás Contest. Pyrotechnic Company: Pirotecnia Gironina. Location: Plaza de los Luceros. 10.pm. Open-air dance in Barracas and Racós. 02.00 pm. VI Session of the 29th Mascletás Contest. Pyrotechnic Company: Pirotecnia Fuegos Artificiales del Mediterráneo. Location: Plaza de los Luceros. 02.00 pm. VII Session of the 29th Mascletás Contest. Pyrotechnic Company: Fuegos Artificiales Hermanos Fernández. Location: Plaza de los Luceros. 12.00 am. Monumental Palm Pyrotechnic Company: Fuegos Artificiales Hermanos Ferrández. Location: Summit of Mount Benacantil. Straight away: The Burning of the Official Foguera and Infant Official Foguera. Pyrotechnic Company: Alicantina de Focs i Artifici. 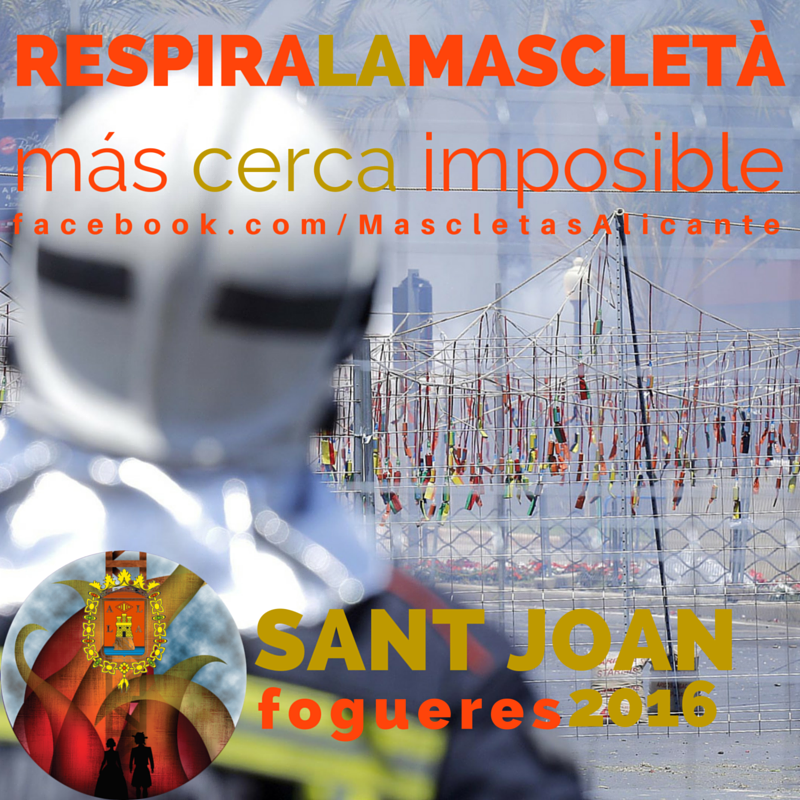 Next: Burning of Fogueres, Infant Fogueres and Barraques in each district. Savor the city and local cuisine. You’ll love it. 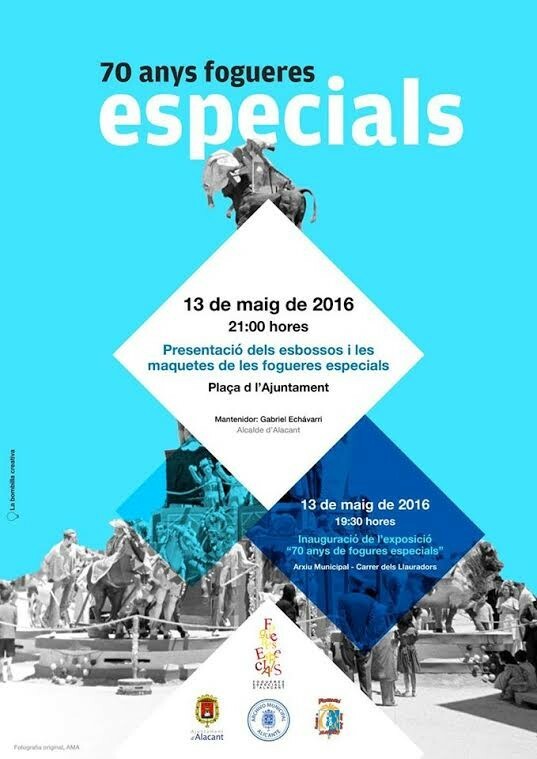 During The Feast of Fogueres use public transport. 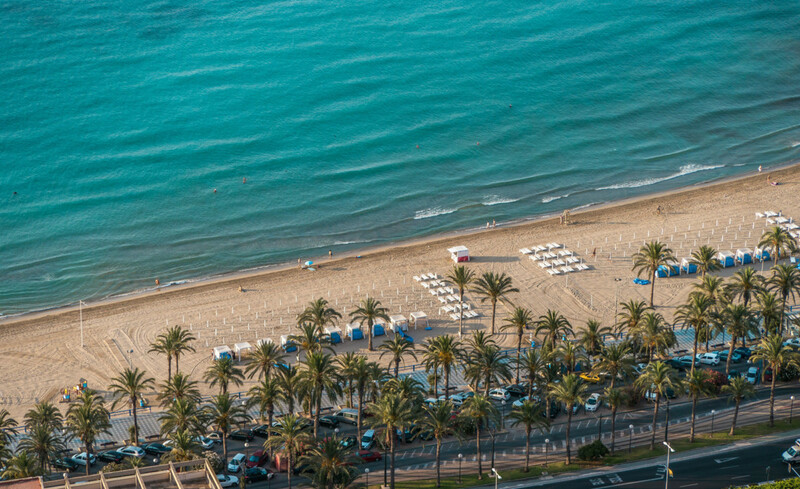 During Les Fogueres Sant Joan you can also enjoy the beaches of Alicante and its services. The beaches of San Juan, Albufereta, Postiguet and Saladar-Urbanova have been awarded with the Blue Flag 2016/2017 edition.